With that in mind, let's take a look at the 35 Smart Home Phone first. It's basically a smartphone without cellular connectivity, offering the same features that you've come to expect from an Android phone. You'll be able to hit up the Android Market to install your favorite apps, check your email, video chat using the front facing camera, and whatever else you can think of. The only thing you can't do with it is, well... take it with you. One product that you can take with you is the 35 Home Connect: an Android-based web radio with extra-long battery life and Wi-Fi, so you can stream your favorite tunes wherever you can wirelessly connect to the net. Another rad feature of the 35 Home Connect is the integrated front-facing camera for video chat or, as Archos recommends, baby monitoring (which is actually a pretty solid idea). Personally, I just want one for the bathroom so I can rock out while taking a shower. Both devices will be available at the end of September, with the 35 Smart Home Phone coming in at $159 and the 35 Home Connect costing $10 less ($149). 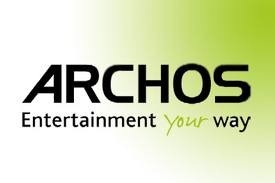 DENVER--(BUSINESS WIRE)--In 2009, ARCHOS were the first to market with an AndroidTM tablet and today they continue to push technological boundaries and innovation with two new Android devices designed for the home - The ARCHOS 35 Home Connect, an Android-based web radio and the ARCHOS 35 Smart Home Phone, an Android DECT phone. Both are smart devices and feature all of the Android functionalities. 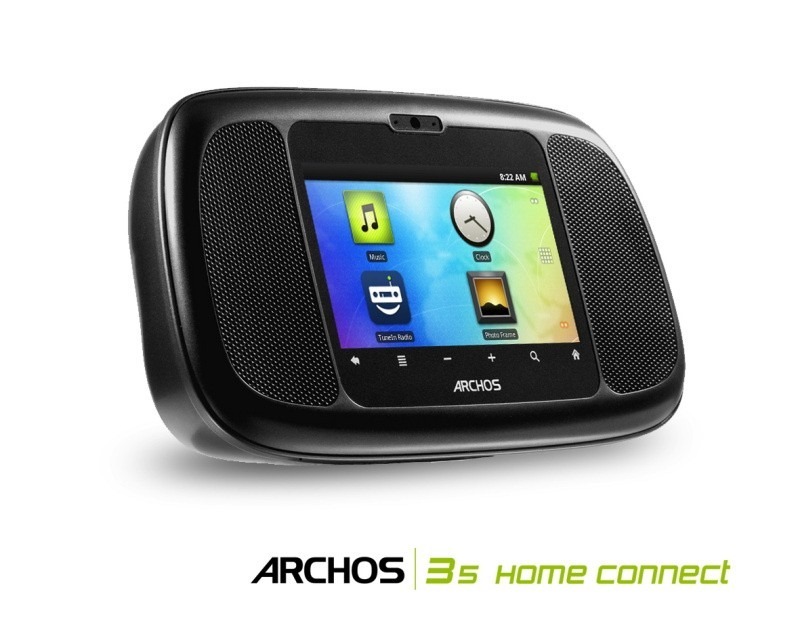 The ARCHOS 35 Home Connect is light, has an extra-long battery-life and fits perfectly in your hand. With two high-definition speakers specifically designed for improved bass, users will be amazed by the sound quality produced by such a small device. 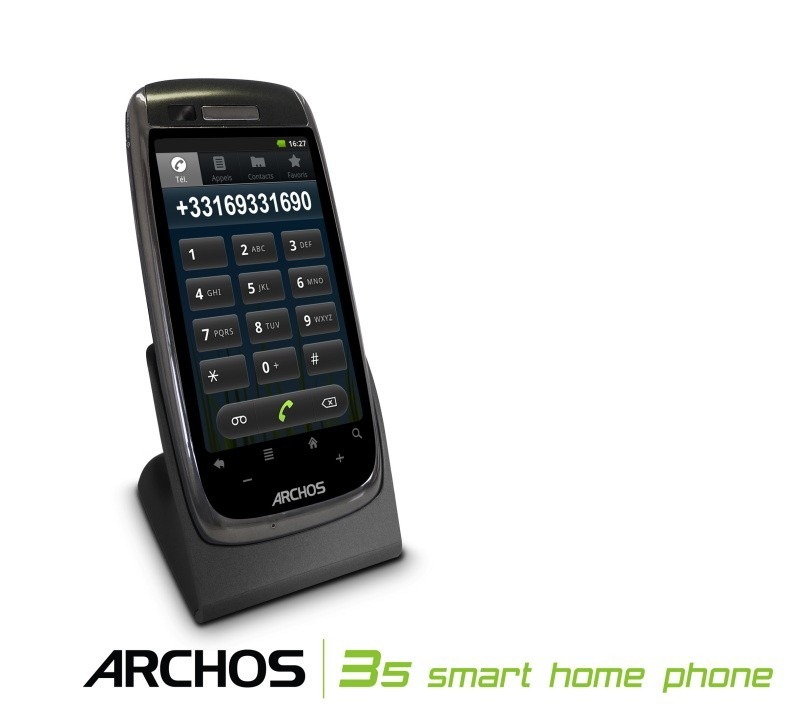 The ARCHOS 35 Smart Home Phone gives you access no other home phone can - whether you want to quickly check your email without turning on the PC, find that definition in Wikipedia or play a game while waiting for your call, the ARCHOS 35 Smart Home Phone can do it.